THIS SET INCLUDES 1 TABLE, 6 CHAIRS, 2 ARM CHAIRS. Select other options to add on additional items. Soft and Subtle yet Alluring, the MCHD-27 Dining set comes in Muslin color along with Antique white Bonded leather. 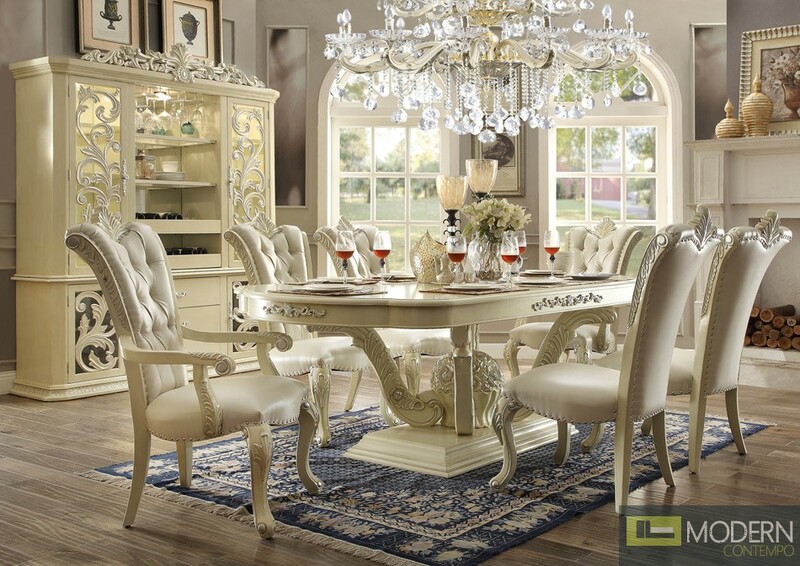 This Dining set will complete any Style, because of its sophisticated style. This collection includes a China Cabinet that matches to precision. Disclaimer: Pictures displayed may include optional products not included in the price. Computer monitors often display color variations. Color swatches are shown if alternative colors are available. Please call us or email us if you have any questions!